SE-Test India Pvt. 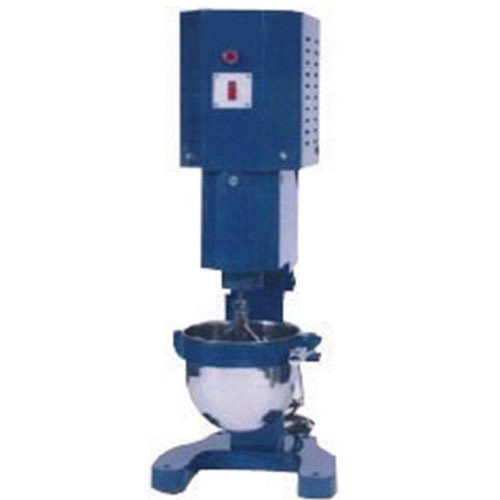 Ltd. is among the major mortar mixer machine manufacturers in India and we have been serving the engineering and construction firms as also testing labs and universities. Our mortar mixer machine conforms to the latest testing requirements and allows the professionals on site to perform objective analysis in least of time while maintaining highest level of accuracy. The mortar mixing apparatus allows assessing the material attributes for the purpose of determining the strength, consistency and setting time of the mix. The product is designed to develop samples of desired characteristics and offers twin churning and mixing functions long the planar and revolving dimensions. The speed can be modulated in the range of 140 – 285 RPM (revolving) and 62 – 125 RPM (planar) to achieve the demanded consistency of the mortar mixture. There is a 6 liters bowl at the lower end that serves sufficiently for the sampling purposes. The apparatus has been developed as per the mandated benchmarks of mortar testing equipments and therefore we cater to the clients around the world. We also ensure the use of best grade materials like SS to maintain the quality and functional performance at its best. SE-Test India is today counted among the top mortar mixer machine exporters!